Laughter is your birthright. Infants begin smiling during the first weeks of life and laugh out loud within months of being first weeks of life and laugh out loud within months of being born. Even if you did not grow up in a household where laughter was a common sound, you can learn to laugh at any stage of life. · Begin with a smile. A smile is the one that can burst into laughter. · When you hear laughter, move towards it as laughter is contagious. · Keep company of playful, lively and humorous people. · Spend more time playing with children. · Laugh at difficult & embarrassing situations rather than grieving over them. This will surely lighten your mood and help you find a solution by keeping the stress away. · Past is history and cannot be changed so learn to laugh over it and learn its lessons. The bad part of the past will seem really ‘not so bad’ and rather trivial after this. · Negative thoughts are a barrier by thinking to humour and laughter .So remove this barrier by thinking positive. · Watch a comedy movie or TV show. Share a good joke or a funny story. 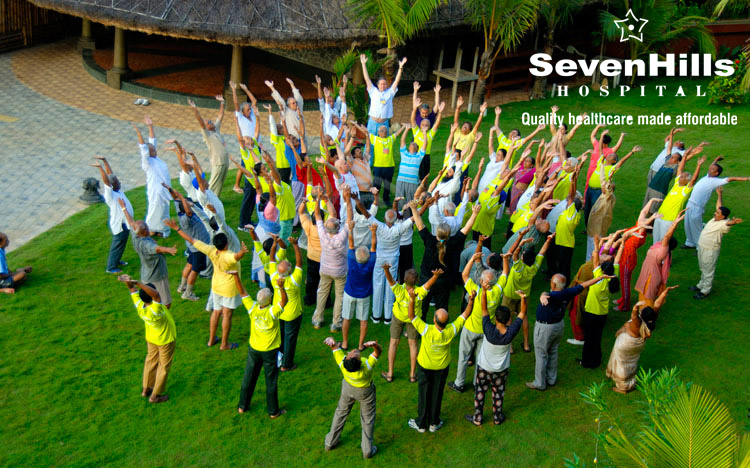 Join a laughter club or a laughter yoga class. Keep Laughing, Stay Healthy, Stay Fit!